Will you buy a Nokia 3310 (2017) ? Nokia 3310 is mother of today's phone. It was successor of Nokia 3210. Nokia announced Nokia 3210 in 1999 which wasn't sold in India but 3310 which was announced in 2000[globally] came in India. It was a single sim phone with internal antenna after its predecessor Nokia 3210. It had a pure monochrome display with 84 x 48 pixel. It supported Dynamic Font size, Screensaver, welcome messages. Its memory was of 8 records for last dialed, received & missed calls. It supported saving templates for messaging. There was support for high vibration & monophonic ringtones. Ringtone volume level & Nokia's generic ringtone still rings in everyone's mind after listening word Nokia. It had 4 games which we enjoyed when we were kids . Snake II, Pairs II, Space Impact, Bantumi were those games which were available in all Nokia Phones. 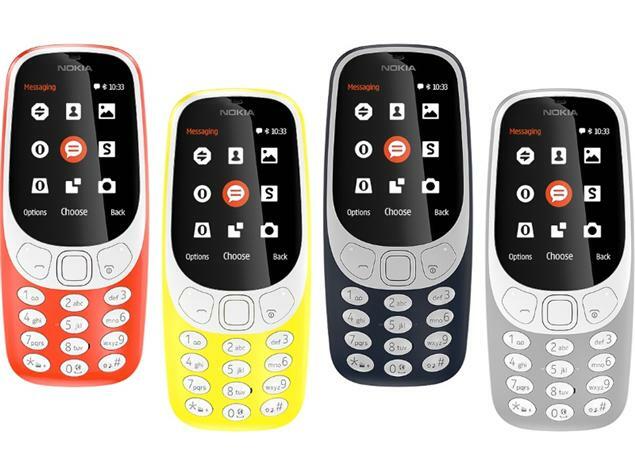 Nokia 3310 made a benchmark of its features & those features are now said to basic features which we expect to be a modern phone :v . Chatting through SMS, picture messages, Predictive Text Input, Calculator, Profiles [silent, meeting, outdoor, normal, customized] & a currency convertor. The battery in 3310 was 1000mAh which sound less for modern phones but gave standby time of 50hrs to 250hrs. The cool part of that model was user exchangeable covers which gave it customized look. It was exchangeable but tough build quality . It was such solid built phone which gave rise to jokes/memes on online communities. 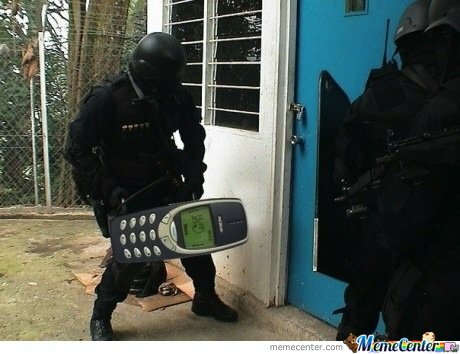 So what if same NOKIA 3310 comes back . Its back with specs of today's generation phones but with its legacy. It will be now sold under Nokia branding by HMD Global. HMD Global is brand by Former Nokia Employees who joined Microsoft Mobile & few left & joined others. They came back & formed HMD Global which own's Microsoft Mobile's Feature Phone business. HMD Global was formed in May 2016 & bought copyrights from Nokia to sell devices under their branding until 2024. HMD Global has developed the 2017 range of Nokia phones. Nokia 150, Nokia 6, Nokia 3310, Nokia 5 & Nokia 3. HMD Global yesterday announced these new serious of Nokia Phones which will be sold globally. It was announced at Mobile World Congress 2017 which was held at Barcelona. Going on to Nokia 3310 2017 variant, its a 12.8mm thick feature phone with 2.4inch 240x320 pixels display & 2mp camera with video recorder. It has a 1200mAh battery, 16mb RAM & a dedicated SD Card Slot which is expandable upto 32GB. Its available in 2 variants differentiated on Single/Dual Sim support. It supports 2000 phonebook entries. It has a LED Flash which can be used as Flash Light too. Nokia 3310 2017 comes with MP3 Ringtones support, Bluetooth v3.0 with A2DP codec support. The feature which is missing on few smartphones is included like a FMRadio & headphone jack . Nokia claims the new single sim variant of 3310 gives 744hrs of battery standby & 600hrs on dual sim variant. The new variant comes in Warm Red, Dark Blue, Yellow & Grey Colors. The phone costs approx €49 which is approx INR 4000. Thanks to Wikipedia, GSMArena, Nokia & HMD Global. Credits: CNET, MemesCenter, HMD Global & NDTV for Images. I feel it's good come back by Nokia but not worth coz people need something affordable & durable. Still the indian prices aren't confirmed. Let's hope for more cheaper coz 4k INR for a feature phones is too much coz we have 4g + VoLTE smartphones at 3k INR. But it's NOKIA comes in my mind again & again. I love Nokia but i don't like this move. This only just gives a nostalgia, nothing else! If it was using S40 or s60 software then it would more useful. Most dumbest thing done by Nokia. Who gets this type of phones now? And for this price? Also their new Android phones also has low specs compared to the price tag. Weird! But this was the same thing that Nokia did before.